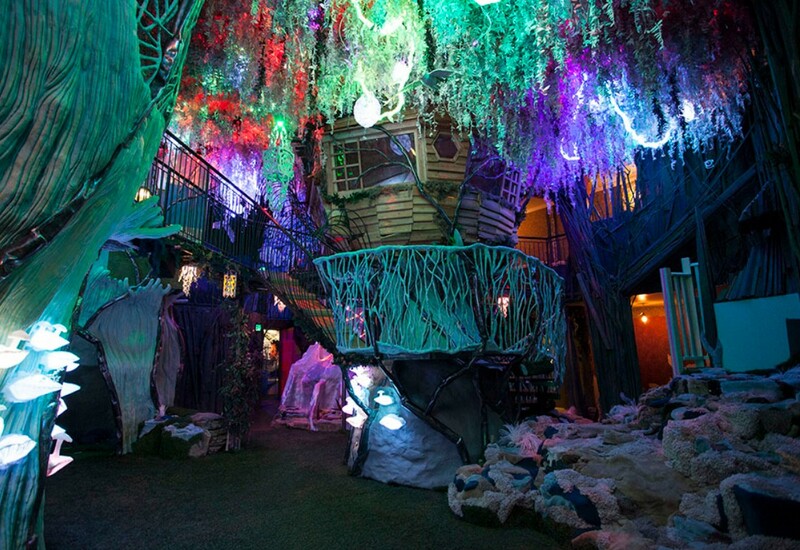 Spend the day at Meow Wolf’s House of Eternal Return, where art meets jungle gym meets fantasy novel. Once inside the 20,000-square-foot space, it feels like a blanket of explorable art swaddles you. Find your own path, climb through secret passageways, play, crawl, run, explore dozens of rooms, get engulfed by beauty and weirdness, collect inspiration—all until 8 p.m. or 10 p.m. on Friday and Saturday. And if you’re checking out an event in the venue space, many weekend music acts play until 2 a.m.